The U.S. has reportedly blocked any attempts by Middle East allies to fly weapons to the Kurds fighting the Islamic State in Iraq. The Telegraph reports that U.S. allies say President Obama and other Western leaders, including Britain’s David Cameron, aren’t showing leadership over the escalating ISIS crisis in Iraq, Syria and throughout the Middle East. 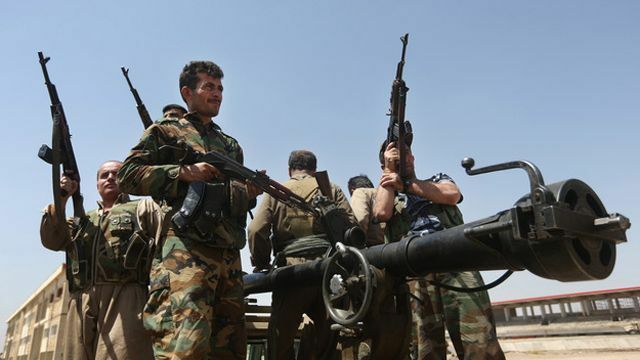 These allies are now willing to “go it alone” in giving heavy weaponry to the Kurds, even if it means defying Iraq and the U.S. who want all weapons to be funneled through Baghdad, according to the newspaper. High level officials from Gulf and other states have told The Telegraph that plans to persuade Obama to arm the Kurds directly have failed. The Senate voted down an amendment for the U.S. to bypass Baghdad and send weapons to the Kurdish fighters.